As founder of Generation NeXt, a service for helping young professionals establish a solid financial foundation for their future, one of my roles is mentoring our advisors to serve this niche clientele. 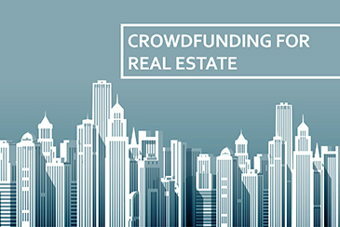 Our service is designed to progressively guide the next generation of wealth accumulators towards an affluent path. 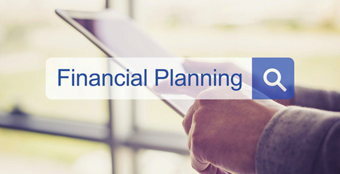 We assist in developing an investment strategy that is in-line with their long- and short-term financial goals; including, debt reduction strategies, saving strategies, tax planning, investment education and advice, insurance analysis, retirement planning, and more. We help educate the adult children of our clients about the importance of fiscal responsibility. 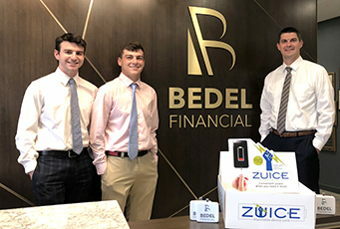 Another role at Bedel is serving as Director of Strategy and Finance for the firm. This role includes long-term internal business strategy planning and control of financial decision making for the firm. 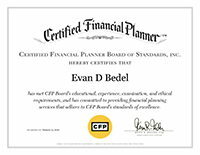 Experience includes investment portfolio management, GenerationNeXt services, Retirement Plan Consultant, and comprehensive financial planning. 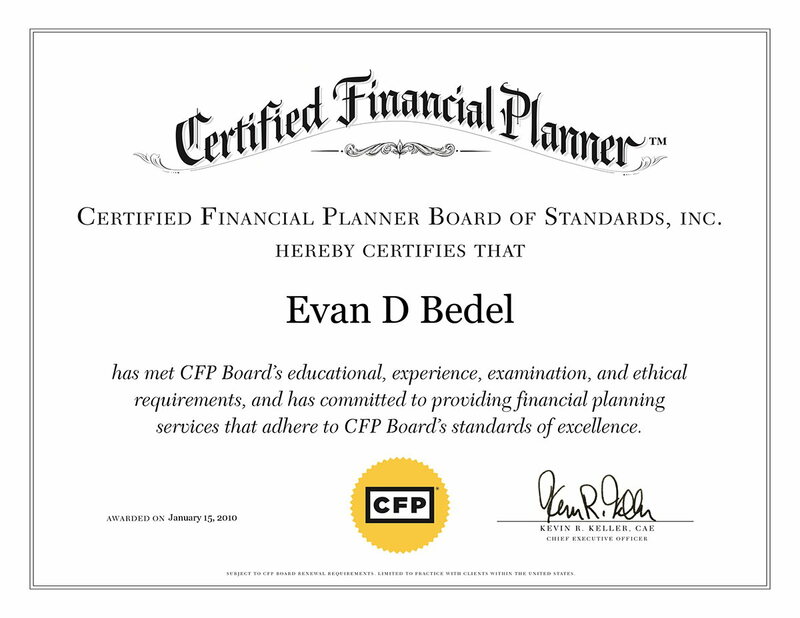 Bedel Financial Consulting, Inc., Financial Planner. Fee only financial consulting and investment management firm providing services for individuals and business owners. Master of Science, Personal Financial Planning, Texas Tech University. Bachelor of Liberal Arts, Business Management, Wittenberg University. Indy's Best & Brightest Under 40 Finalist, Junior Achievement of Central Indiana (2014 & 2015). 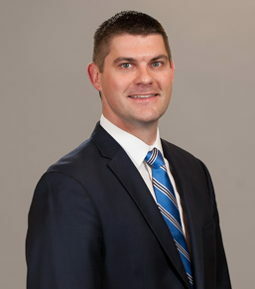 Past President, Financial Planning Association of Greater Indiana. Past President, Brebeuf Jesuit Alumni Board of Directors. Investment and Endowment Committee, Brebeuf Jesuit Board of Trustees. Finance Committee Chair, Brebeuf Jesuit Alumni Board. Board of Directors, Rotary Club of Indianapolis. Professional Advisor Leadership Council, Central Indiana Community Foundation (CICF). Business Committee, Indy DO Day. Finance Speaker, American Leadership Academy. Finance Speaker, Woodrow Wilson Leadership School. Member, Indianapolis Alumni Association of Phi Kappa Psi. 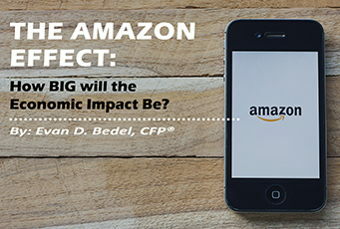 The Amazon Effect: How Big is the Economic Impact? Chances are you’ve crossed paths with Amazon at some point recently – purchasing a Christmas gift, ordering groceries for the home, or even researching products and their customer reviews. But Amazon's impact extends far beyond the way you shop - but just how far remains to be seen. 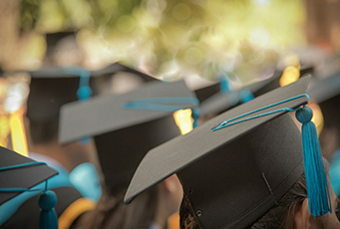 What’s the one piece of advice you would give a recent college graduate? 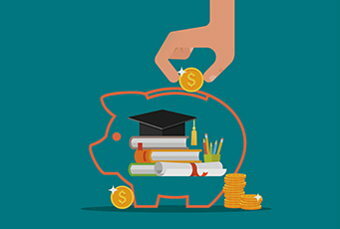 We say “Start off on a solid financial footing to ensure future financial success.” Being a new graduate can be overwhelming – so many choices to make and things to think about that it can make your head spin. But we have you covered with great advice for starting your financial future out the right way, from budgeting to saving to debt management. 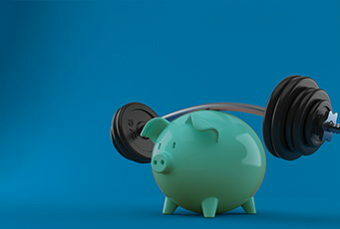 Read on for our financial advice for graduates. 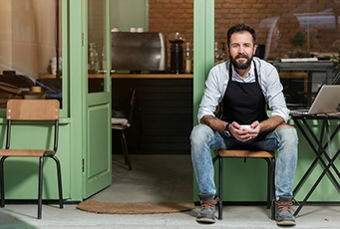 Are you self-employed and saving for retirement? Are you sure you’re getting the most bang for your buck with the retirement vehicle you’ve chosen? If you meet certain requirements, a Solo 401(k) could be right for you – allowing you to save more for your future retirement and receive a larger income tax deduction today! Read on to discover the benefits a Solo 401(k) could bring to you now and in the future. 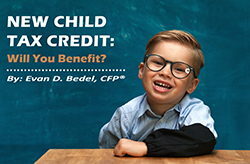 New Child Tax Credit: Will You Benefit? The Child Tax Credit was a pivotal part of the Tax Cuts and Jobs Act, with many senators calling for a comprehensive overhaul to the current rules before approving the TCJA. But many still don’t fully understand the implications of this substantial change. We’ve outlined the new rules of the Child Tax Credit and how those might apply to your household – and your bottom line. 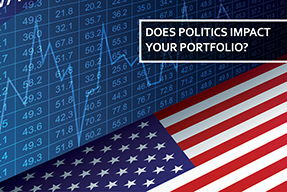 Does Politics Impact Your Portfolio? Our nation’s unprecedented level of political controversy has amplified the fears of many investors. Should you be worried? 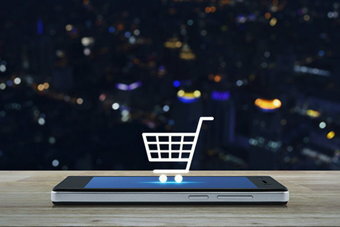 Mobile Shopping: Convenience or Addiction? Are You Confident in Your Future? Everyone wants a great future! Then why don’t people plan? 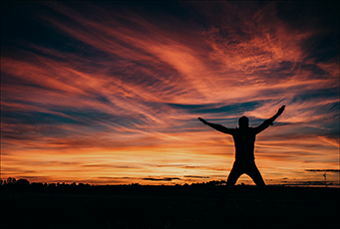 Many do nothing and leave their future well-being purely to chance.